Florida Traffic School Online – No Final Exam! 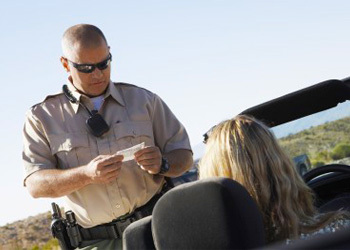 A Florida traffic ticket can ruin your day! Whether you got your Florida ticket for speeding, red light running, improper lane change, failure to yield, or any some other moving violation, we have good news for you – you can take your Florida traffic school course online! Our online course is the fastest, easiest way to do traffic school. There is no final exam. The course contains short unit quizzes instead. Our online course is written in an engaging style and is designed to be easy for even novice computer users. Unlike most other online Florida traffic school programs that force you to read four hours of dry text and statistics, our course features more high quality HD video than any other course, animations, and over a hundred newly added colorful graphics. Get Your BDI Completion Certificate Immediately! For a small additional fee, you can get your Basic Driver Improvement certificate delivered to you right away after you pass your online Florida traffic school course. When you select this option, a download link will appear, allowing you to print your certificate immediately or save it to your computer and print it later. Your certificate will be in Adobe PDF format. A troubleshooting guide is available in case you have difficulty opening the PDF file or printing your certificate of completion. Most customers choose this option, as they prefer receiving their certificate of completion immediately to waiting for it to arrive in the mail. Since we are located in Florida, our standard certificate delivery is much faster than other companies'. However, if you need to meet a court deadline and you do not have the capability of receiving your certificate electronically, we do offer convenient shipping options at some of the lowest rates available. You can select express delivery of your certificate when you register for the course or after you finish the course. You can also call us at 1-800-558-9887 and we will be happy to assist you. Sign up with Driver Training Associates and find out why so many Floridians prefer our Florida traffic school course!